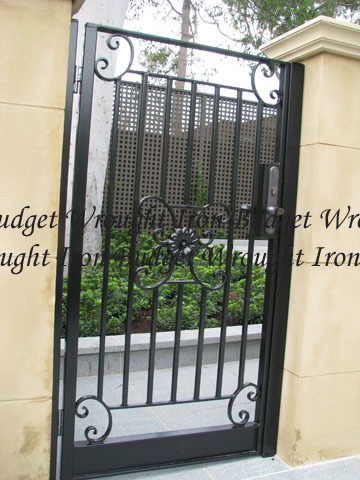 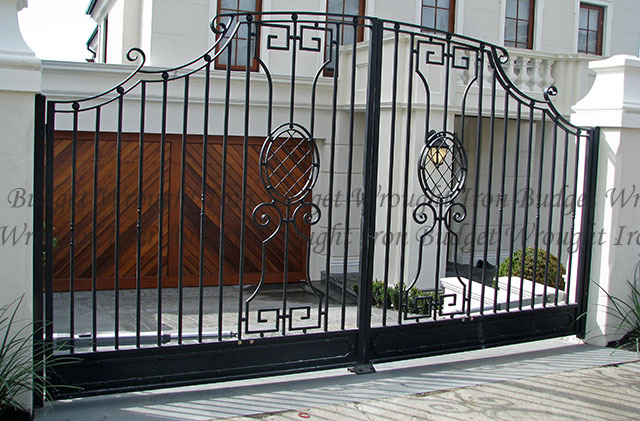 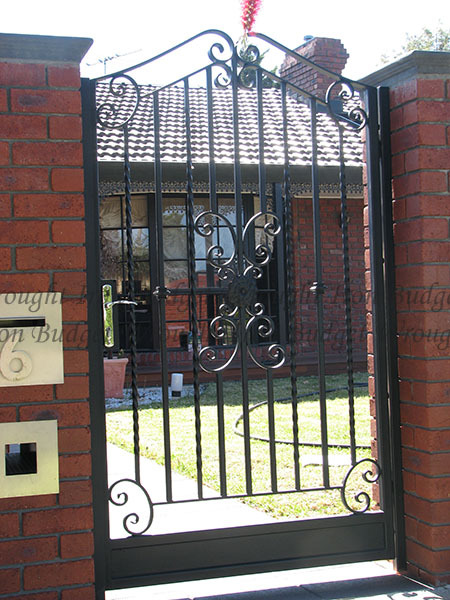 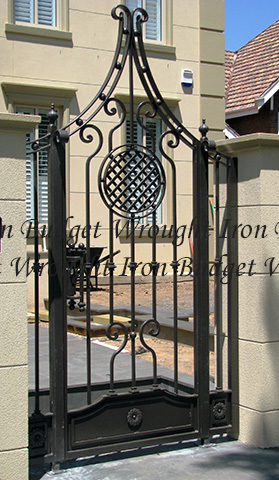 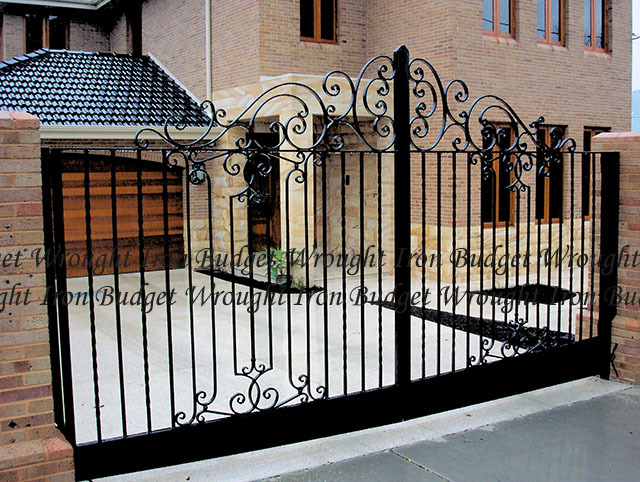 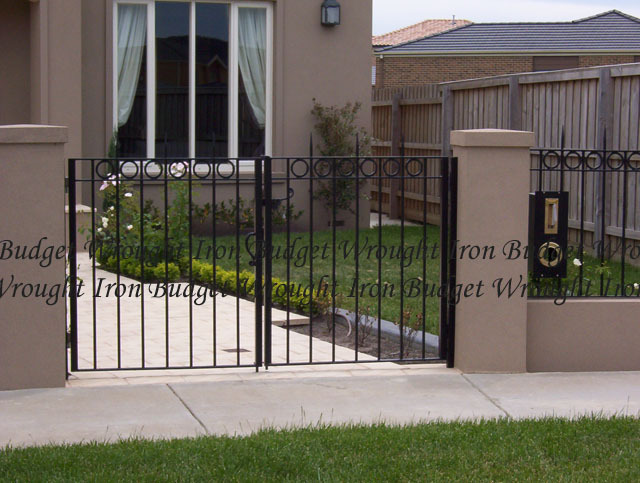 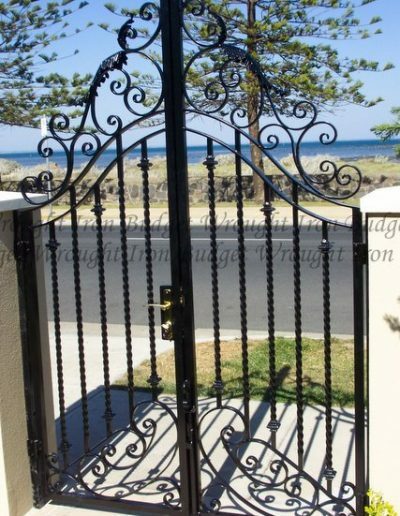 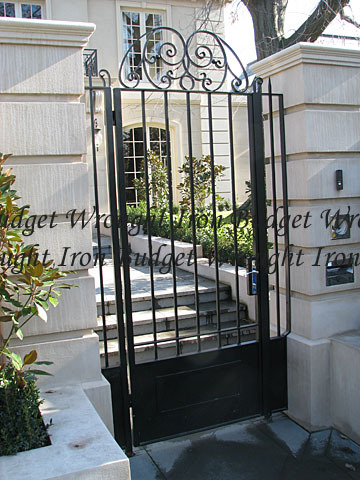 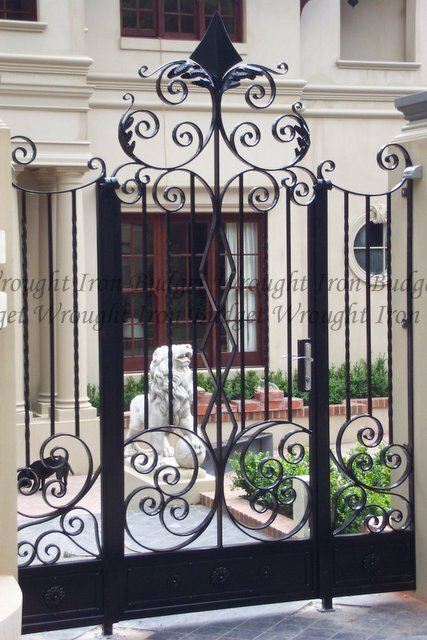 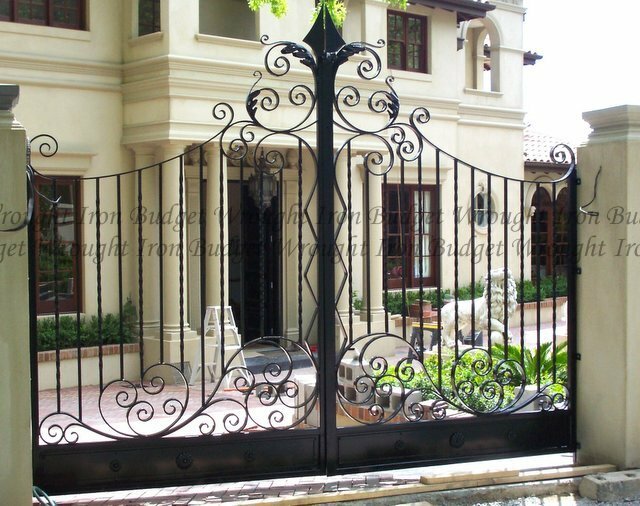 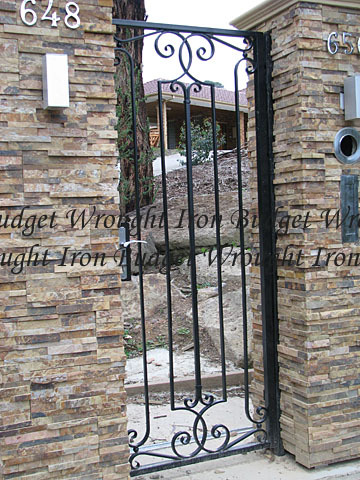 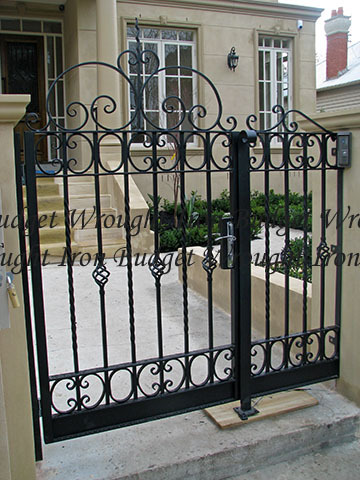 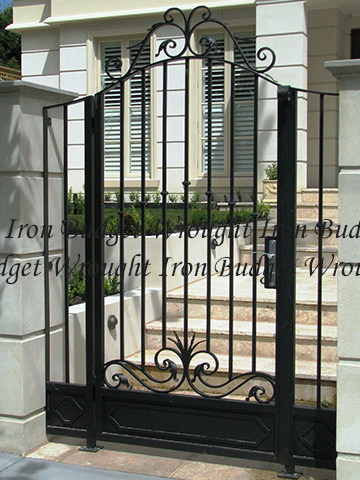 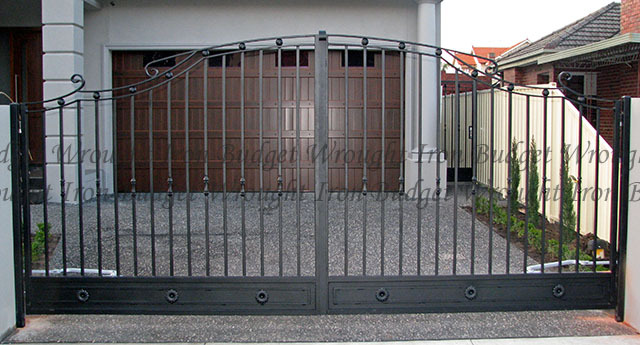 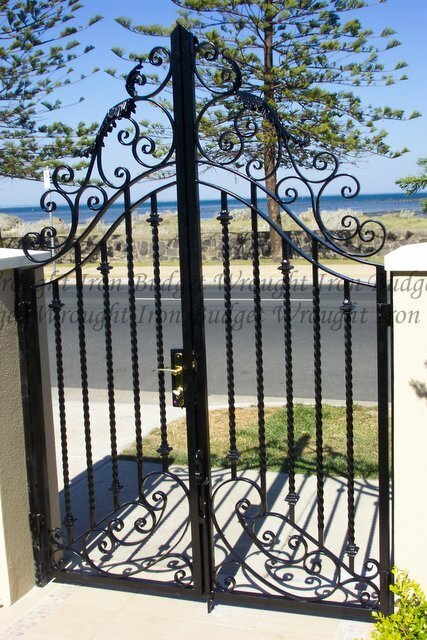 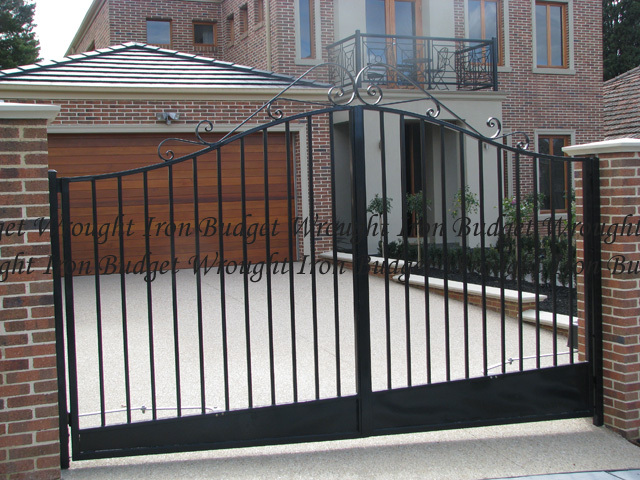 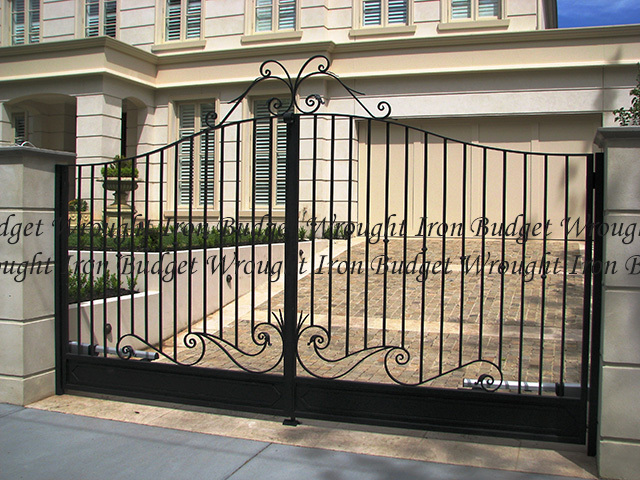 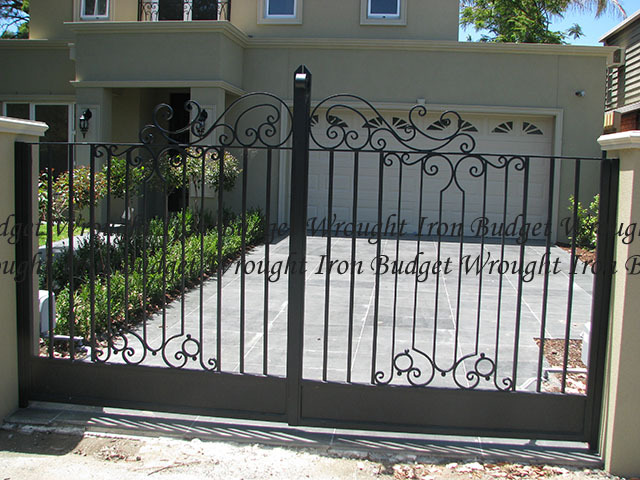 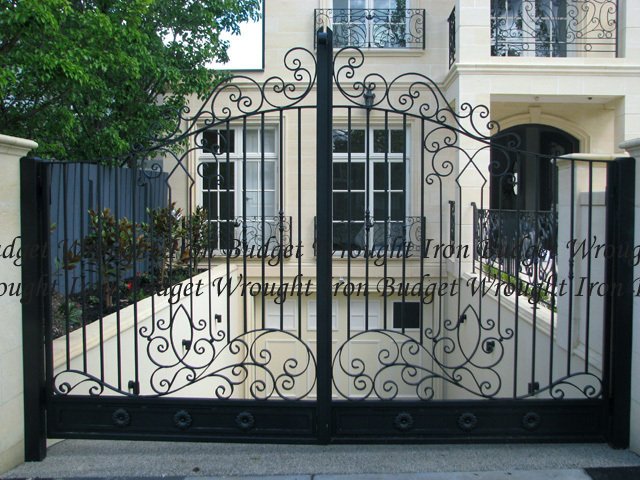 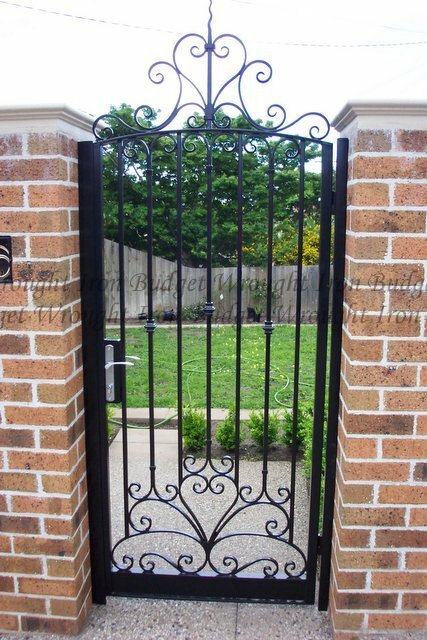 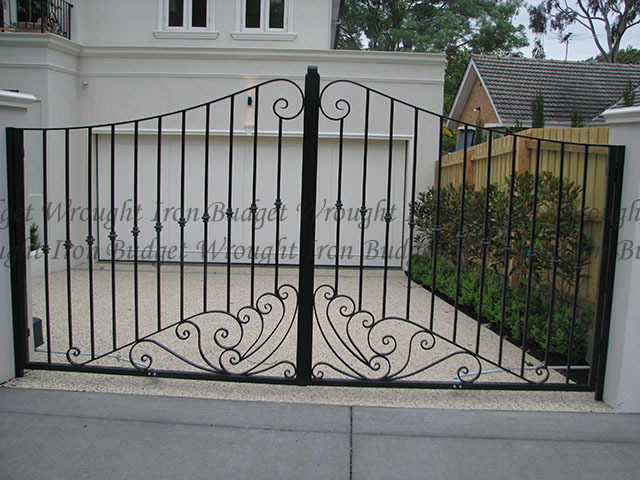 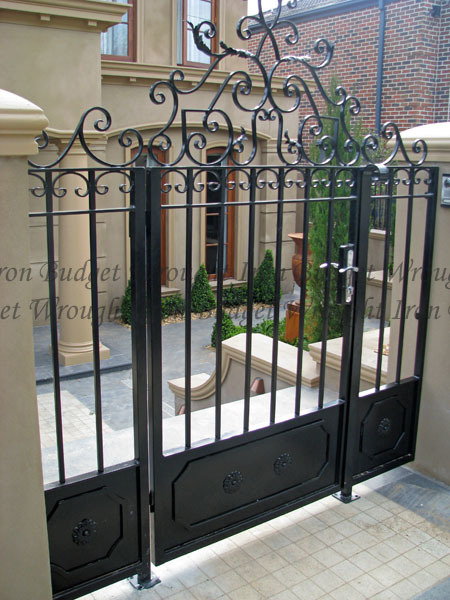 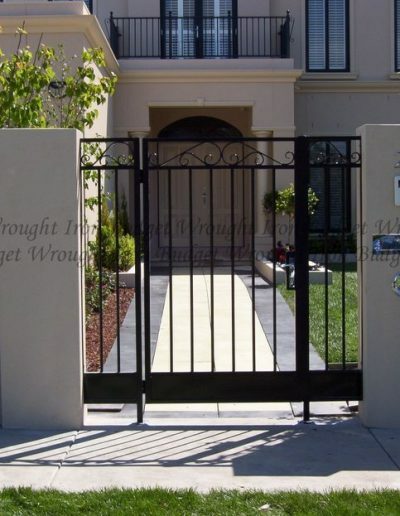 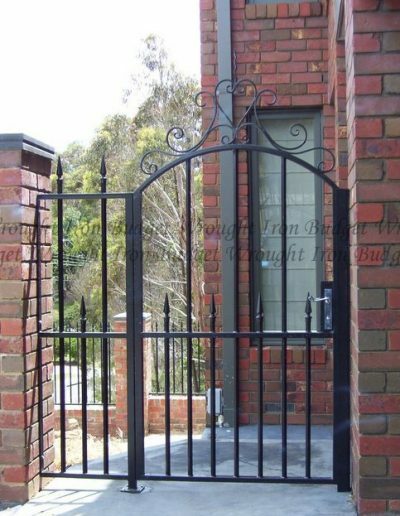 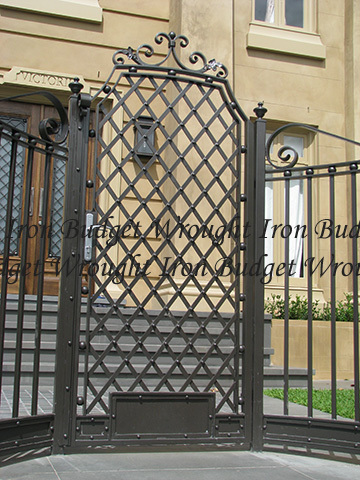 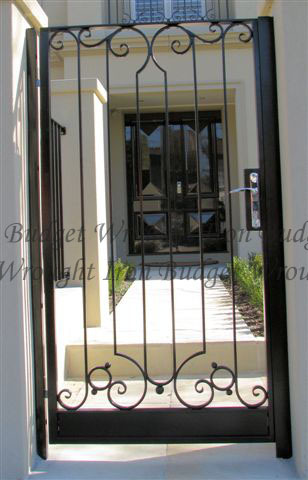 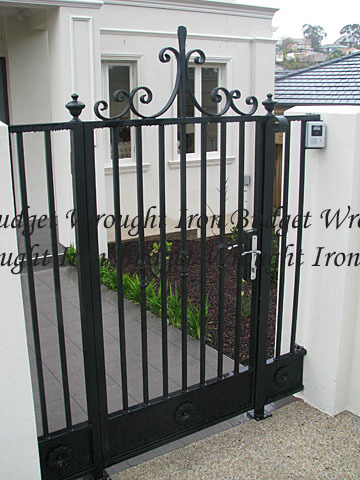 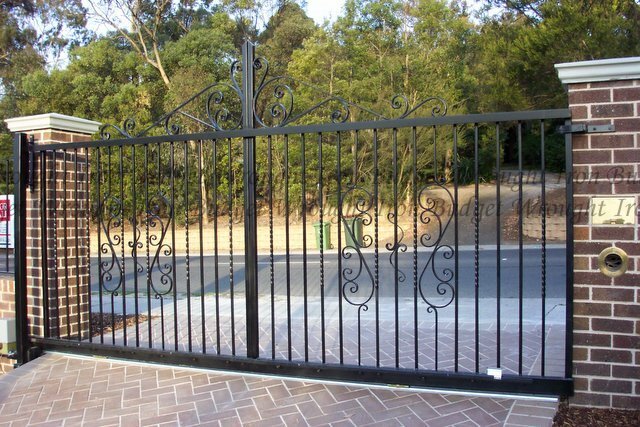 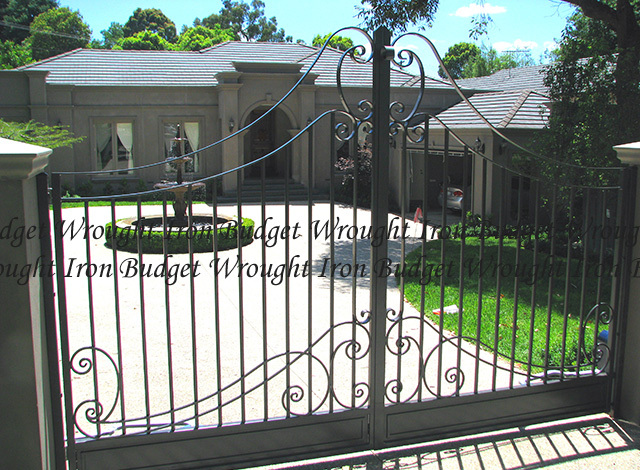 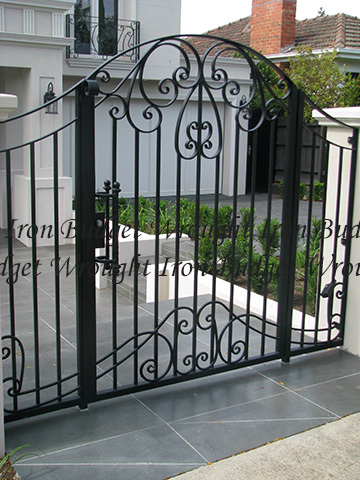 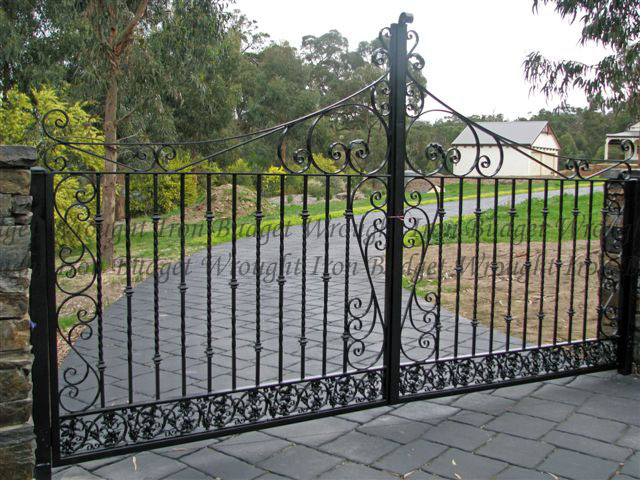 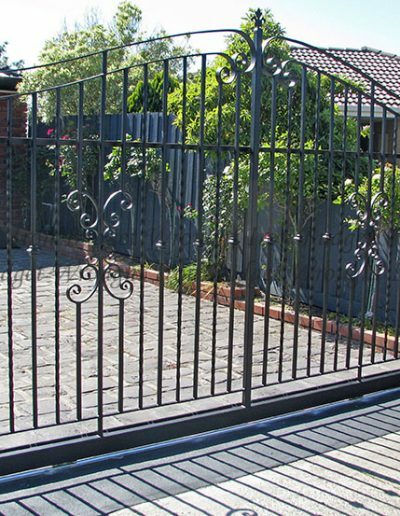 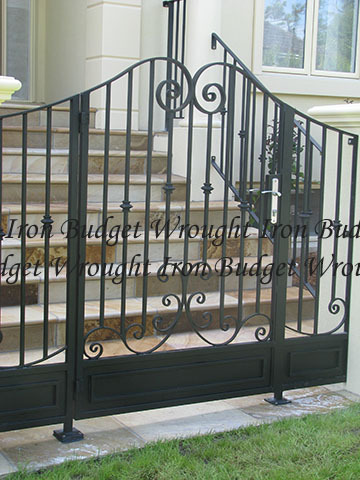 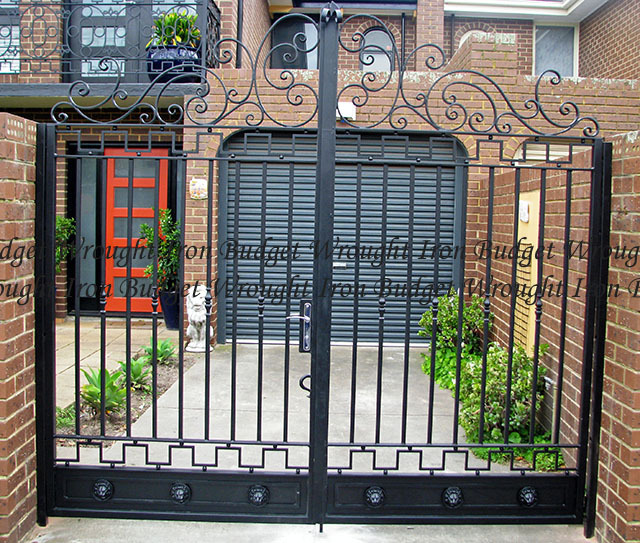 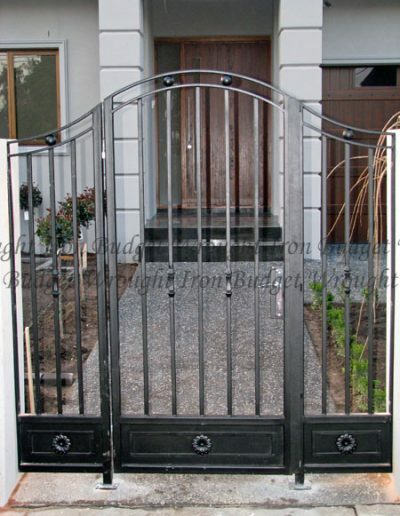 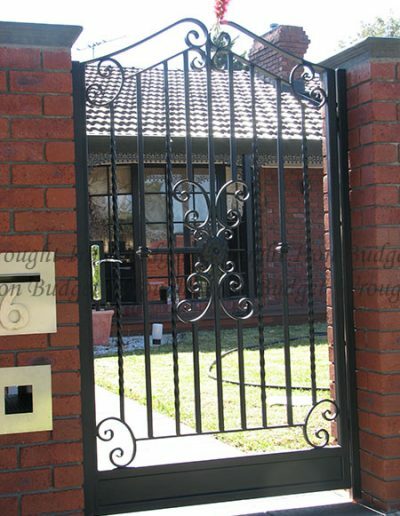 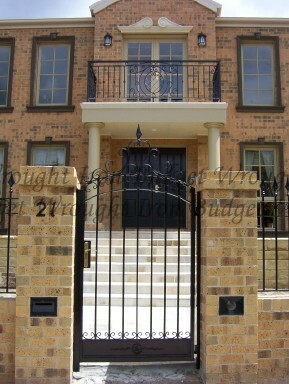 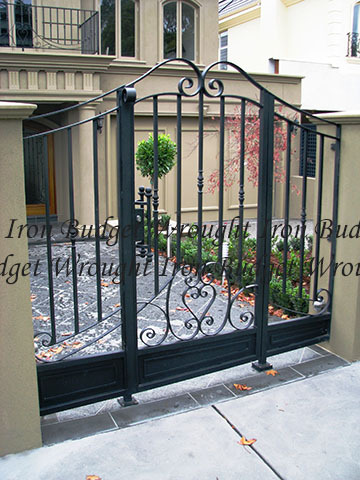 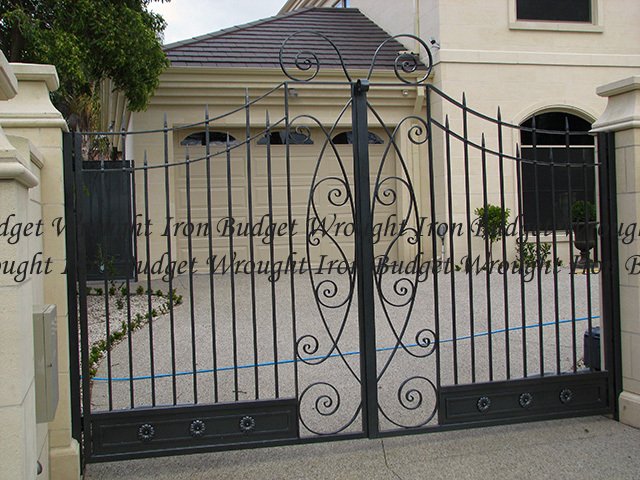 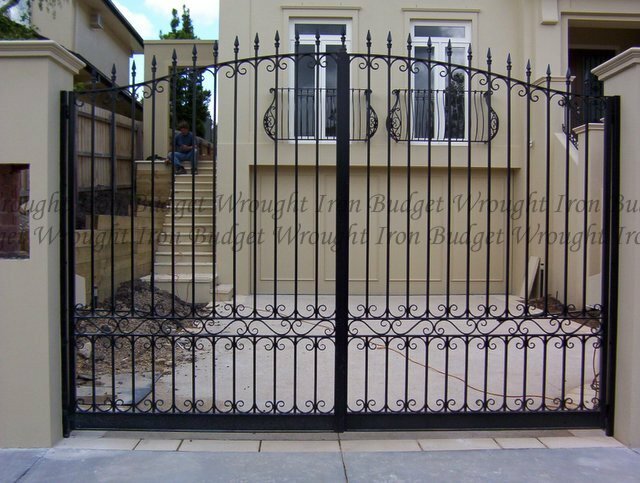 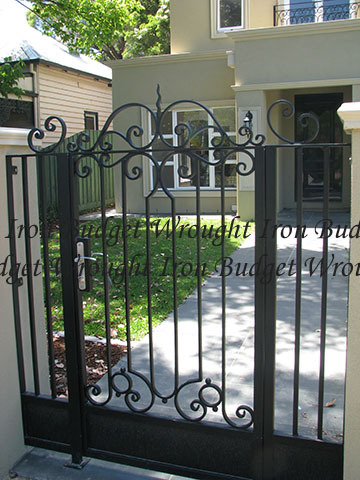 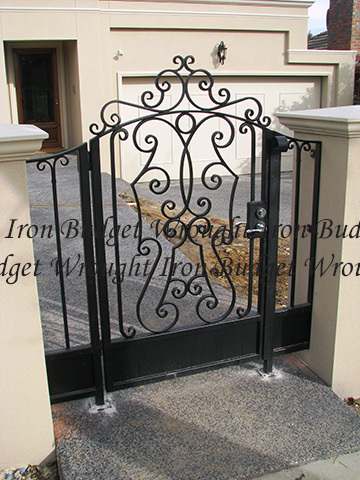 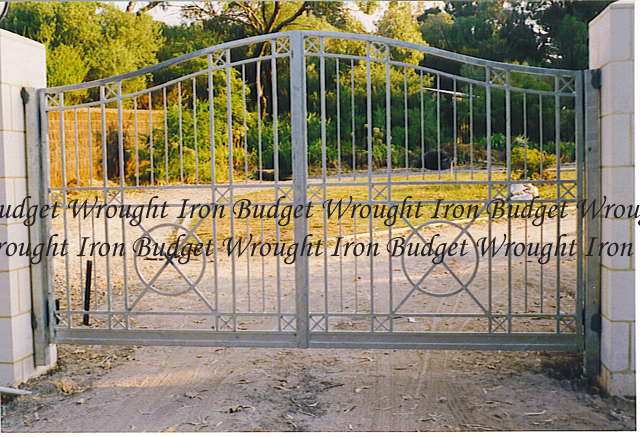 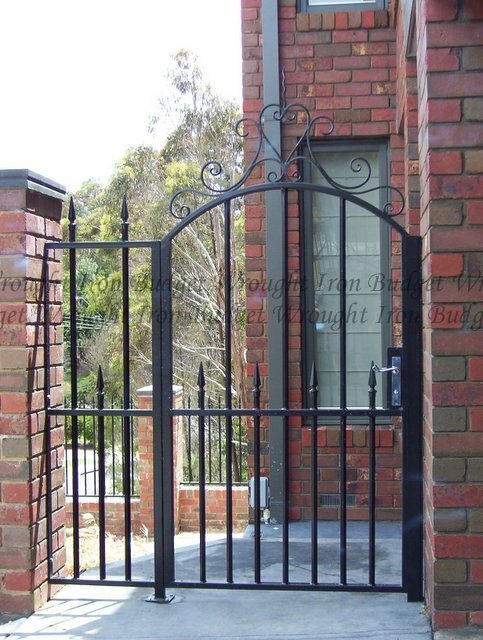 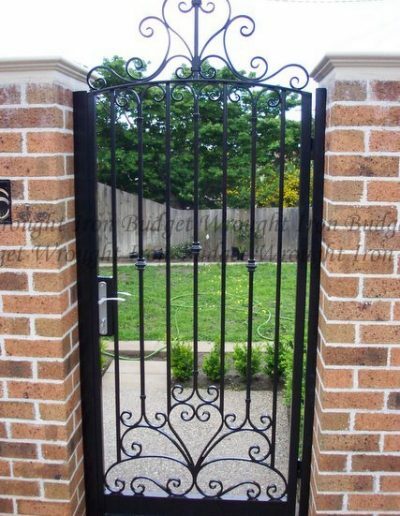 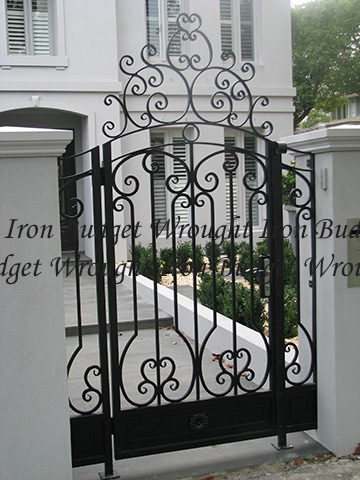 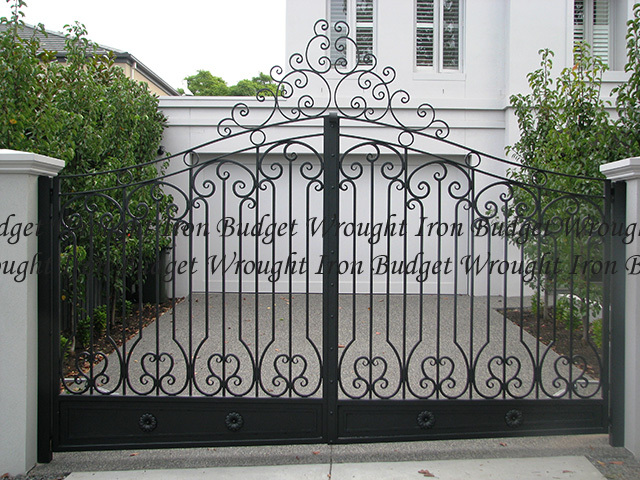 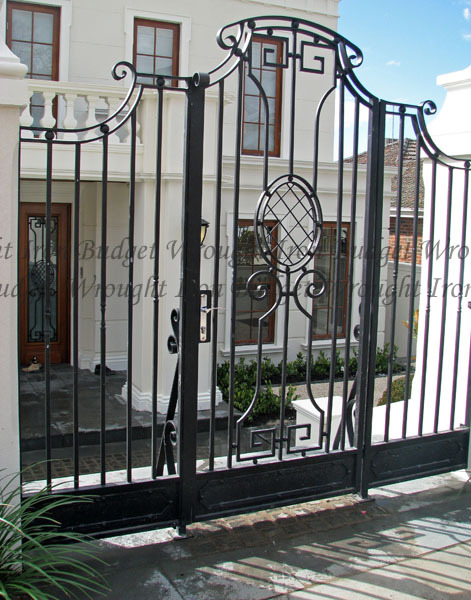 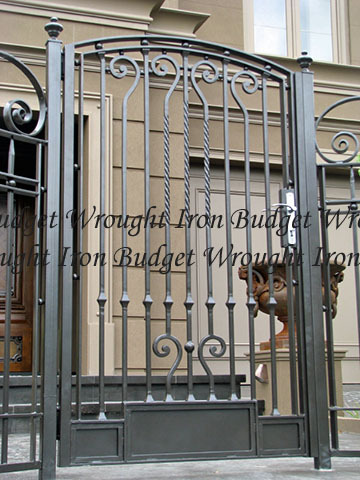 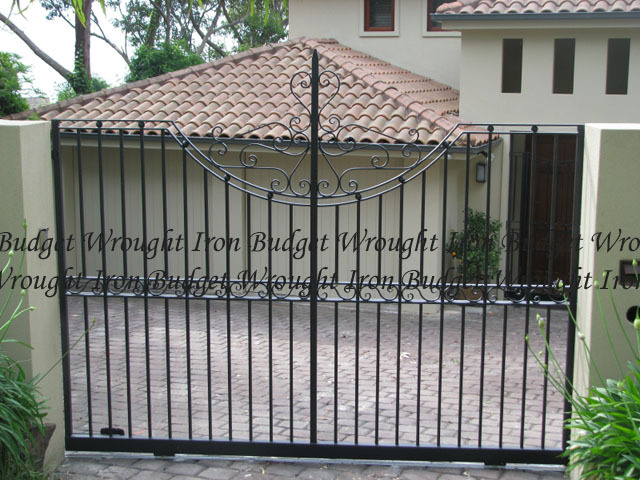 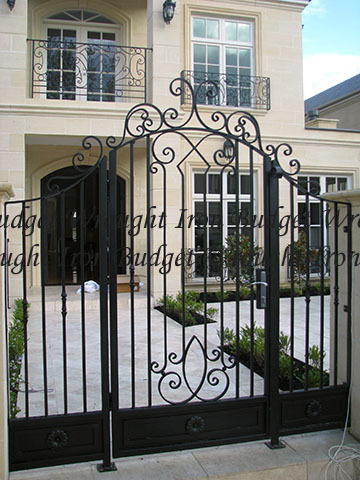 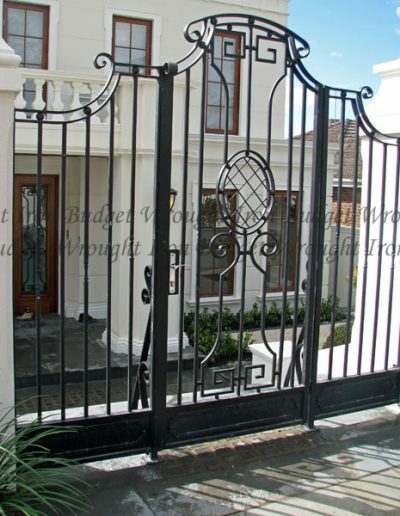 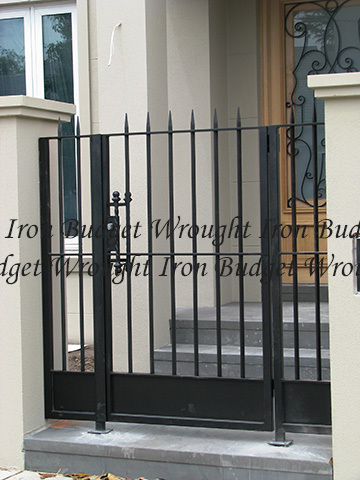 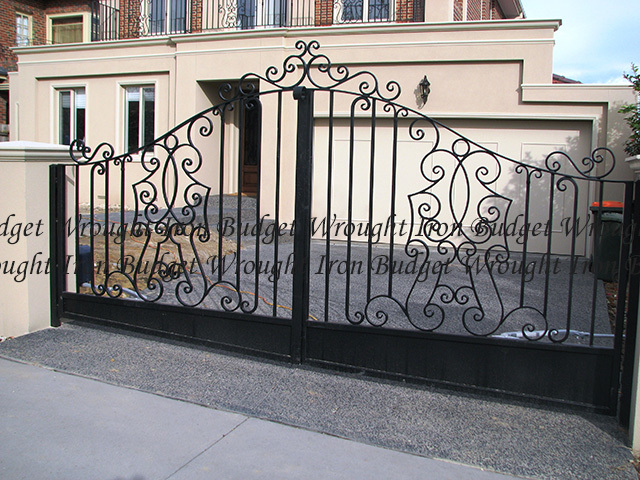 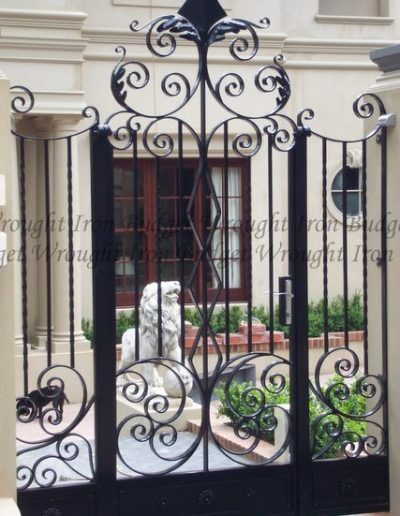 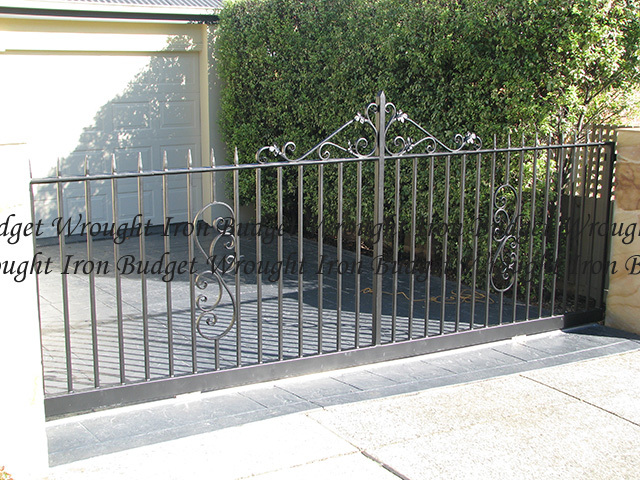 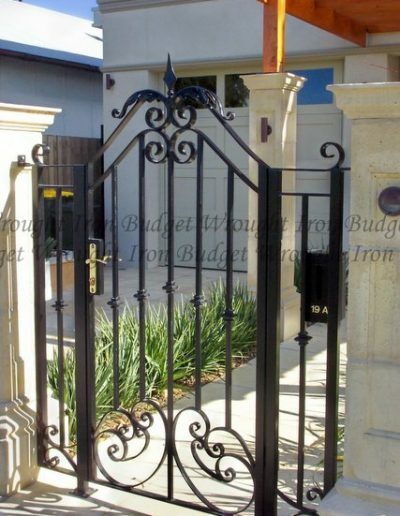 At Budget Wrought Iron we have over 20 years experience in creating a design for your wrought iron gates that will complement your house while adding value to your property and bringing you pleasure. 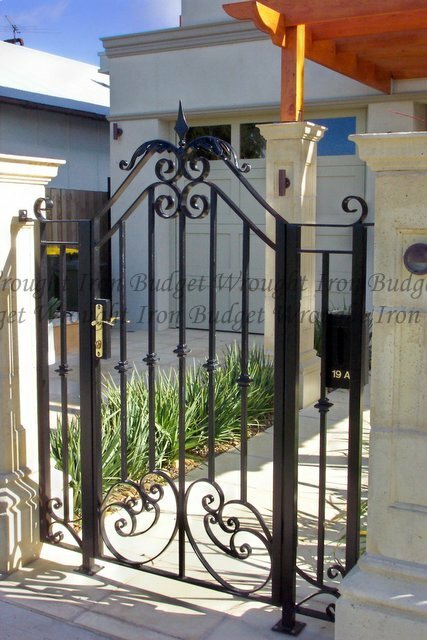 While being visually stunning, your wrought iron gates will secure your home and protect your family from unwanted intruders. 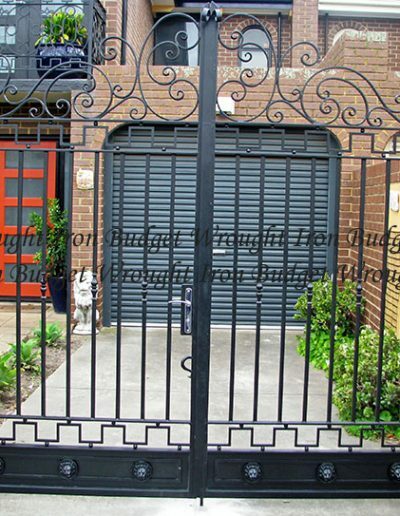 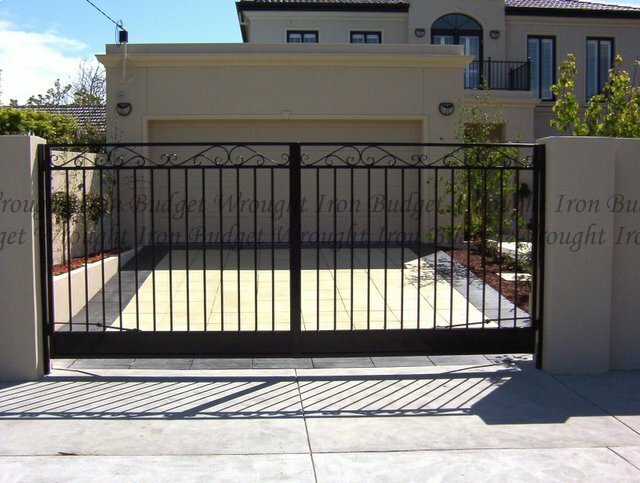 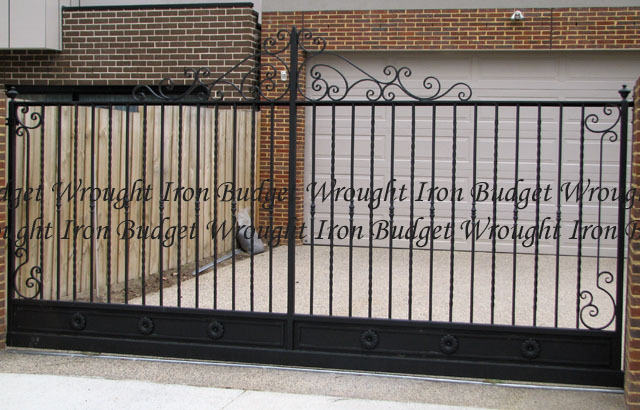 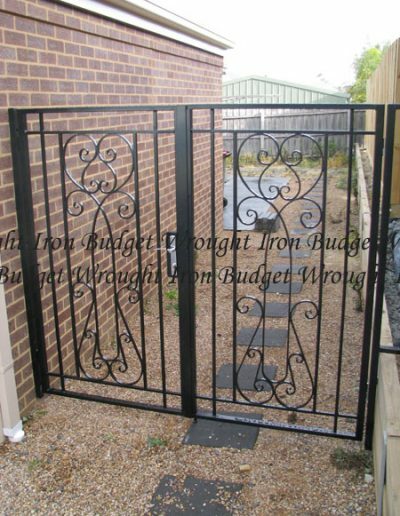 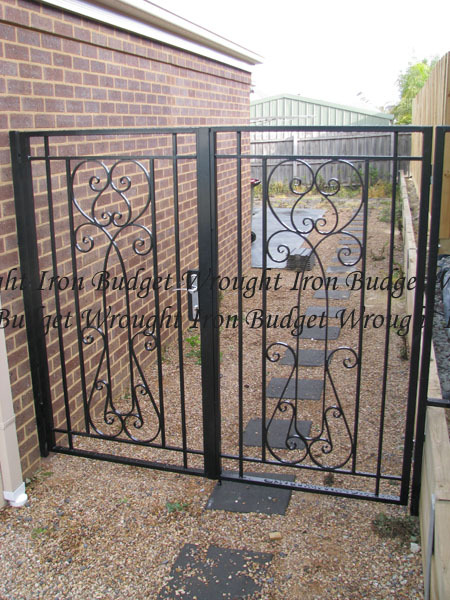 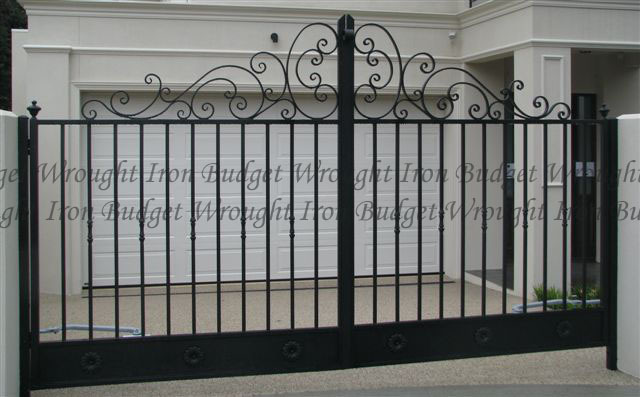 At Budget Wrought Iron we have the capability to create vehicle controlled gates for the convenience of both you and your family. 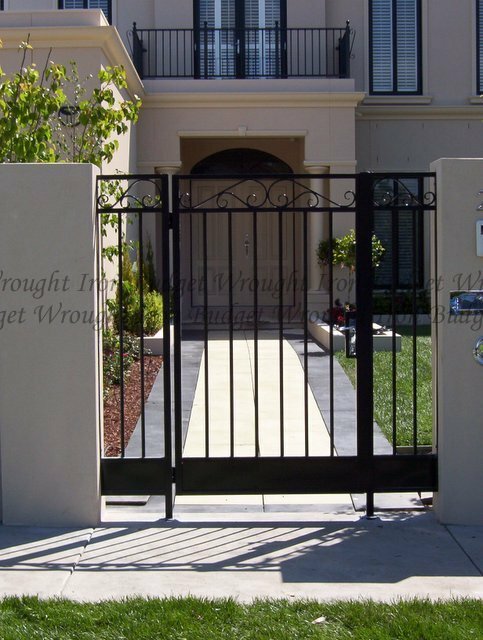 With our custom vehicle controlled gates you can have both the security you’re looking for and the luxury of pressing a single button to gain entry to your home. 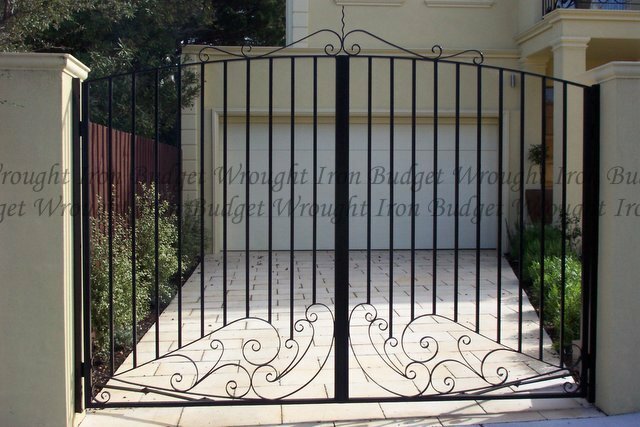 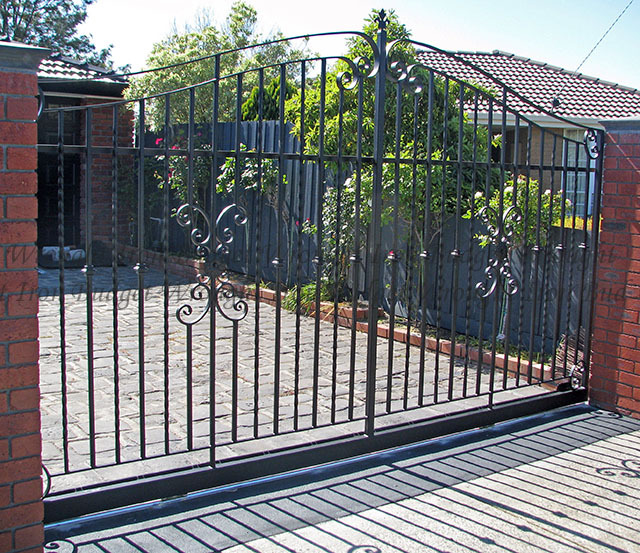 If you are looking for something smaller for your home; perhaps a side entrance to your garden or backyard, we can work with you to design a wrought iron gate that provides extra security to your home. Electric latches can be installed to your wrought iron gate and connected to your intercom system so that you are able to control who has entry to your home.